We use data from existing sources to help transport operators make business critical decisions for a smarter, more profitable future. Public transport operators know that their industry is moving towards “Appification” and demand responsive services, getting more people where they want, when they want, as quickly as possible. At LetsJoin, we use data already available to give operators access to in-depth passenger insights including demographic and behavioral data, detailed journey mapping and flow analysis to improve service efficiency, plan marketing campaigns and inform operational decisions. 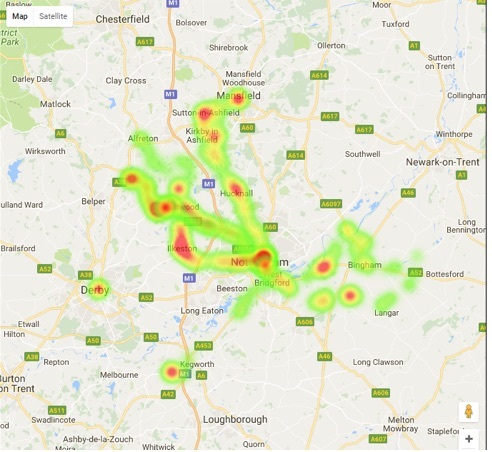 Our sophisticated On-Board Data Analytic Network (ODAN) uses AI-powered machine learning to provide detailed behavioural data on passengers, helping operators understand who their customers are, how they use your transport network, the differing occupancy of vehicles across the network and their off-board behaviour – insights previously unavailable. 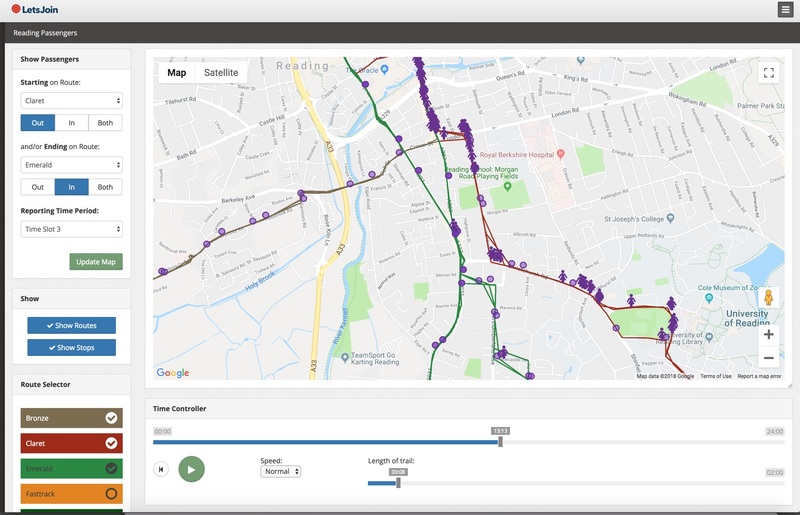 This allows operators to find efficiencies in their service through passenger journey mapping and flow analysis, optimising routes and finding better ways of getting people to their destination while remaining fully compliant with all existing data protection legislation, including the EU General Data Protection Regulation, ensuring passenger privacy through anonymisation and aggregation. "The passenger counting system you already have"
Our technology helps operators maximise passenger revenue using AI and Big Data to delve deep into travel behavior, helping them plan routes and fares, model and test different scenarios such as fare zones, special offers and multi-ride ticket formats, and creating a profile of passengers to help targeted marketing to drive up passenger revenue. Transform existing WiFi services into a valuable asset for both passengers and operators through our unique content platform, offering passengers the latest local, UK and world news to keep them informed and entertained while on the go. 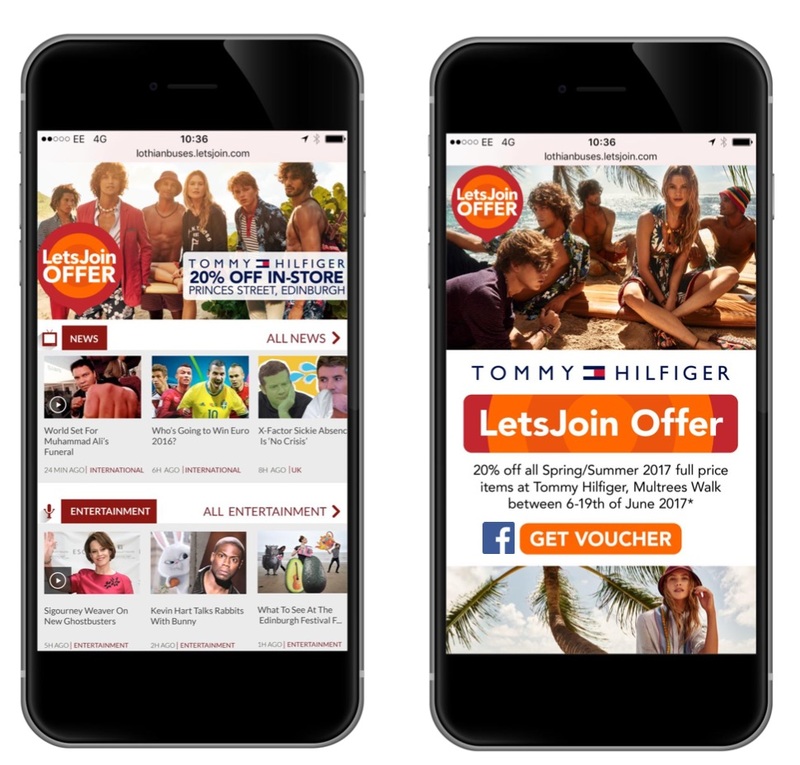 The content platform creates a valuable space for advertisers, allowing both local retailers and other businesses to target campaigns to a specific audience. 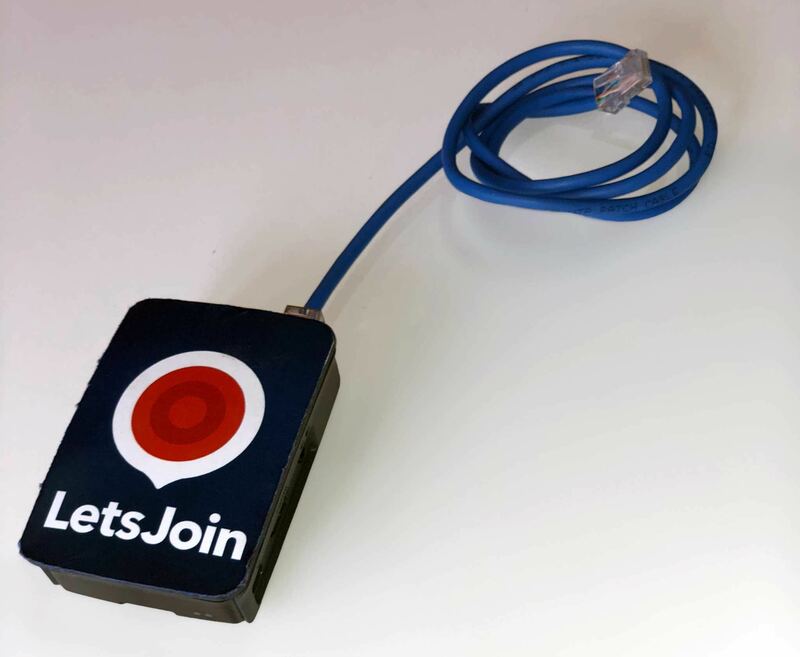 Get in touch now to find out more about how LetsJoin could help your business.